Panda presents DJ Panik. This Drum & Bass heavywheight from Rouen, France has released over 65 tracks on labels like Breakbeat Kaos, Finn People, and Source UK. Recently launching his own imprint Disturbing Science which features Nero, Taxman, Nightwalker and Dubalty, it is already being supported by most major Drum & Bass DJs. In 2009, he has started collaborating with fellow French producer M-Rode. Quite succesfully, they are already hailed as the best newcomers in French Drum & Bass. In this artist-only mix, Panik shows us his latest work....blended in top speed! Leave your appreciation in the comments! DJ Panik started mixing during 1997 and quickly played in loads of events , as a Techno DJ. He started producing around 2000 and 9 months later his first vinyl release was a fact. Between 2000 and 2005, he did 22 vinyls releases on several well known underground Techno labels. In 2005, he decided to switch from Techno to Drum & Bass. Some releases are already out on Breakbeat Kaos , Source recordings UK and Disturbing Science records to name a few. At the same time the UK radio station Kunninmindz offered him a weekly show on their radio, every monday from 6 to 8 pm. Quickly after, He started his own label Disturbing science, with releases from Nero, Taxman, Nightwalker, Dubalty and more to come. 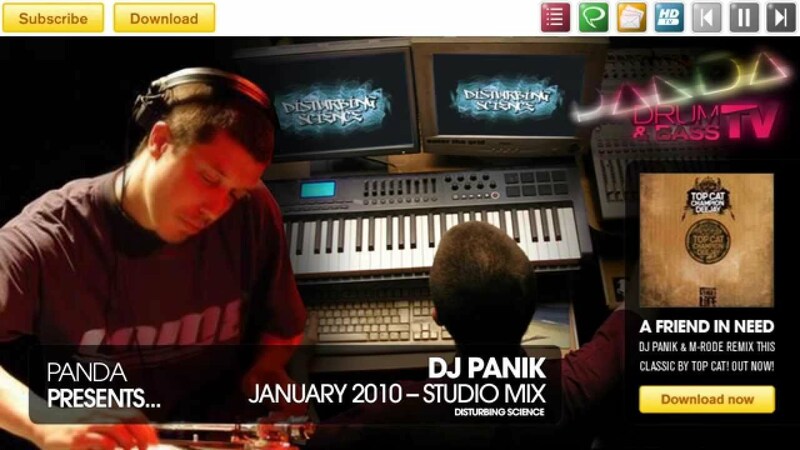 To carry on the story, DJ Panik received an interview in Knowledge Magazine (Biggest DNB magazine in the world) in August 2007, where only a few French producers had ever had the chance to be in. He quickly received support from major artists. In 2007, he won the Breakbeat Kaos / Dogs On Acid production competition, wich helped him to gain more exposure. Panik and fellow French producer M-rode decided to join forces as a Drum N Bass duo.